Bulk cooking is a great way to have plenty of warming, healthy food on hand during winter. As the weather gets cooler, cooking big batches of delicious, warming food becomes appealing. But this kind of bulk cooking can heighten the risk of food poisoning if not handled carefully. 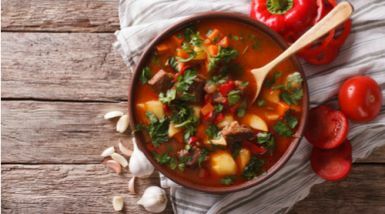 Before you whip up a week’s worth of stew, soup or casserole, read the steps below to keep your food safe. Letting a big batch of food cool slowly can create the perfect environment for bacteria to grow and produce toxins. These toxins won’t be destroyed by further cooking or reheating, and can make you unwell if you eat them. Once you’ve cooked your food, divide it up into smaller containers about the size of a takeaway container straight away. This will help the food cool more quickly and save you time when you need to grab one portion for lunch or dinner. Keeping food cool reduces the growth of bacteria which cause food poisoning, and is important even in cooler months. Once food has stopped steaming, it should be placed in the fridge or freezer immediately. Make sure your food stays cold on-the-go by using an insulated lunch bag or esky and ice brick. The Food Safety Information Council recommends eating pre-cooked food within 2-3 days of cooking, or freezing it to eat later. 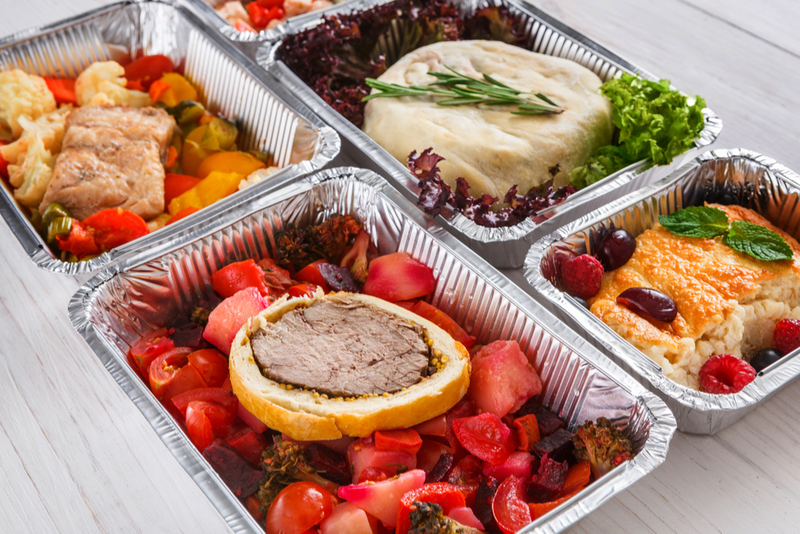 Frozen meals can last for several months in the freezer and come in handy when you’re low on groceries or want a break from cooking. Slow cookers and crockpots are a winter staple in many households across Queensland. Always follow the instructions for your appliance to ensure that your food stays at a safe temperature during cooking and while keeping warm in preparation for eating. When it’s time to eat your food, reheat it until it is steaming hot the whole way through. Stir food to make sure there are no cold spots, and put it back in the microwave or oven if it isn’t hot enough. Bulk cooking and food prep is a great way to stick to healthy eating habits and save time and money. Keeping these safety pointers in mind can help you eat well and stay well this winter.